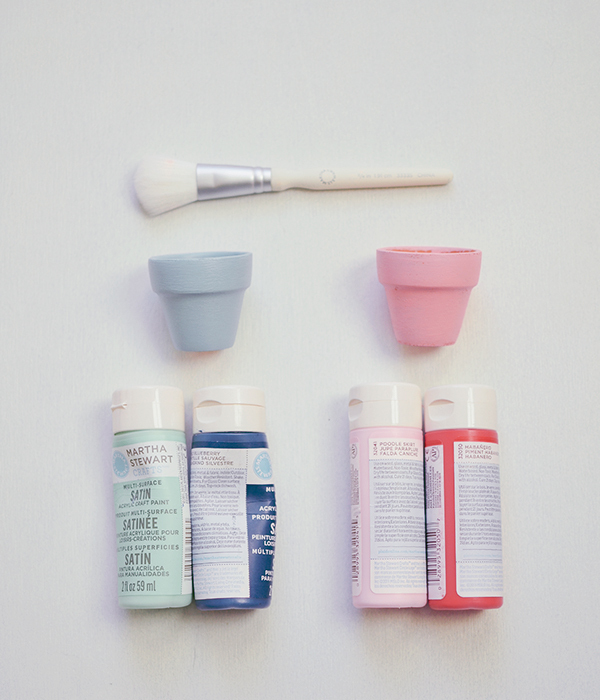 For painting the pots, I blended shades of blue & pink (shown below) and swiftly brushed them on with a puffy brush for an imperfect look. 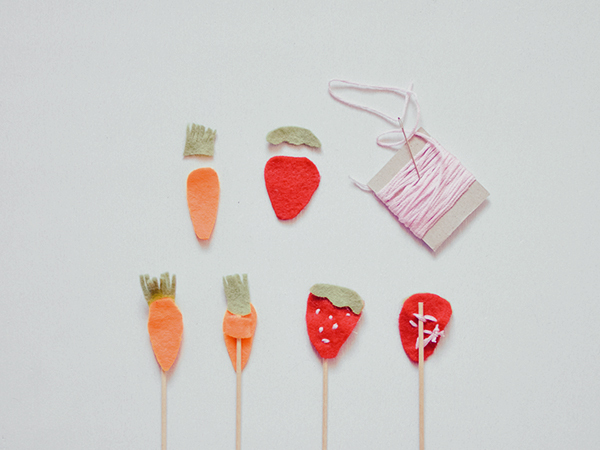 For the little felt produce, I cut basic shapes (shown above) out of red, orange, and green felt scraps, hot gluing the pieces together. 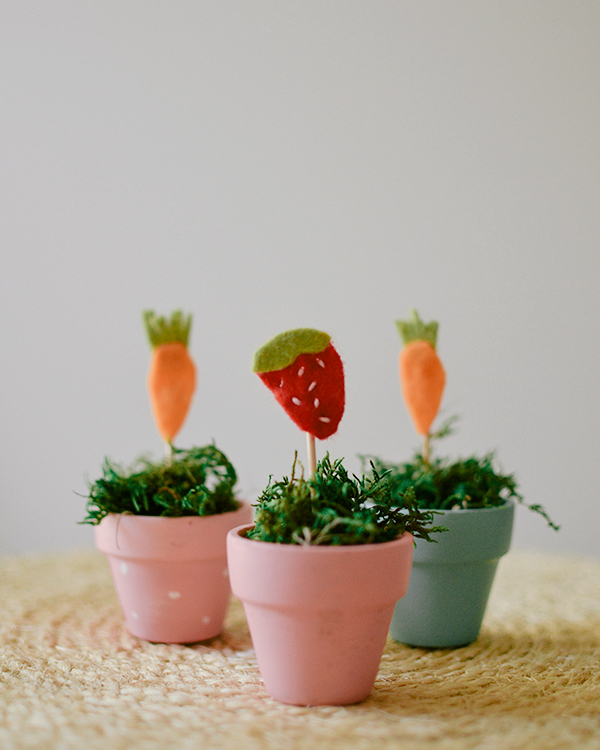 Strawberry seeds can be added with a little thread too. 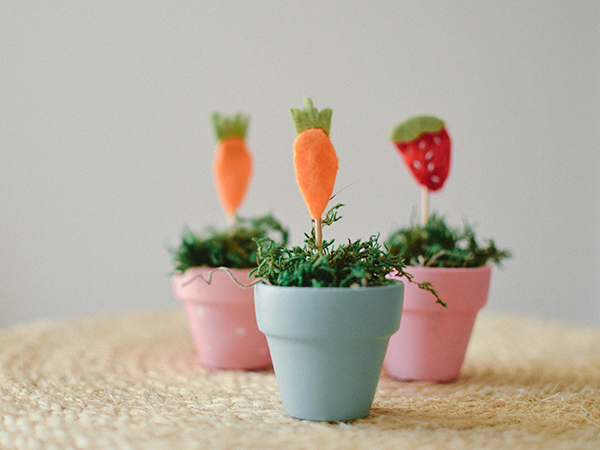 Stick the finished pieces onto a toothpick and "plant" in your pretty pots! Those are too cute. I have mine sitting by the window.